It has been unusually warm in San Francisco, so warm in fact that my friends and I were actually able to lay out at Ocean Beach (which is notoriously cold and windy) this weekend. It's not often that I get to wear shorts, rompers, or even dresses in San Francisco because it's consistently windy, so when I do get the opportunity to I always take it. This romper is from Planet Blue and is on sale for $77 now, shop here (similar here)!! Blu Life has a way with rompers, which are arguably their signature clothing item. 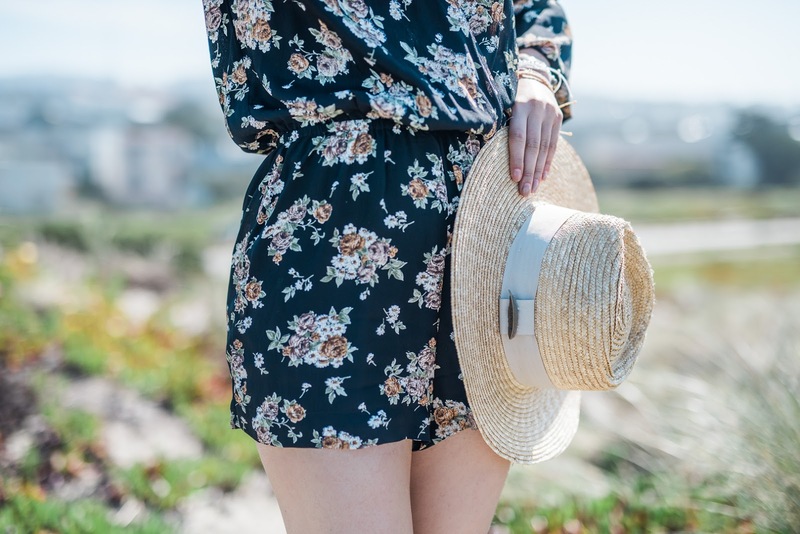 Their floral patterns and flowy, flirtatious designs revolutionized the boho chic fashion world and gave rompers a fundamental role. Their styles are timeless, not only because of the designs and patterns but because of the silk material they use. Rompers are typically seen as a casual item so when Blu Life contrasts formal fabrics with a relaxed sillhouette it creates an interesting element to the piece. I find that the best fashion comes from juxtaposing the formal against the non-formal. My favorite style stars effortlessly combine street-wear with high-fashion concepts to create a compelling ensemble. 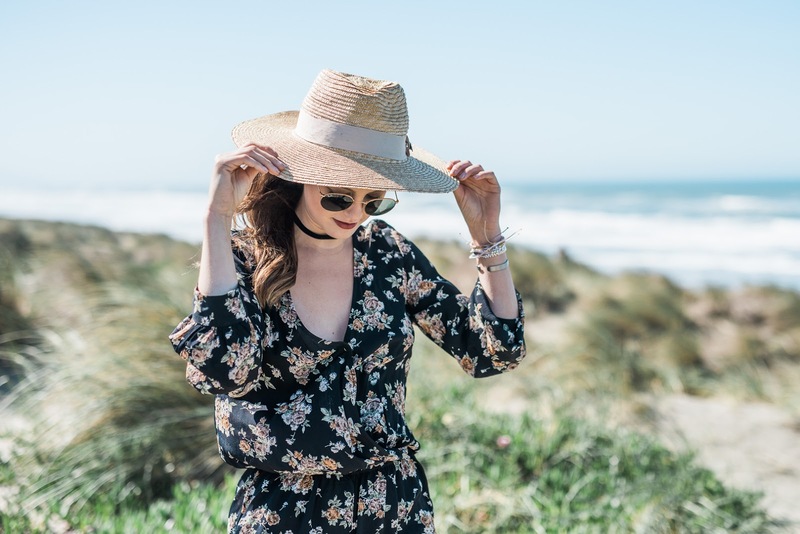 Shop all of my favorite rompers for spring, including this one, at the end of the post! !